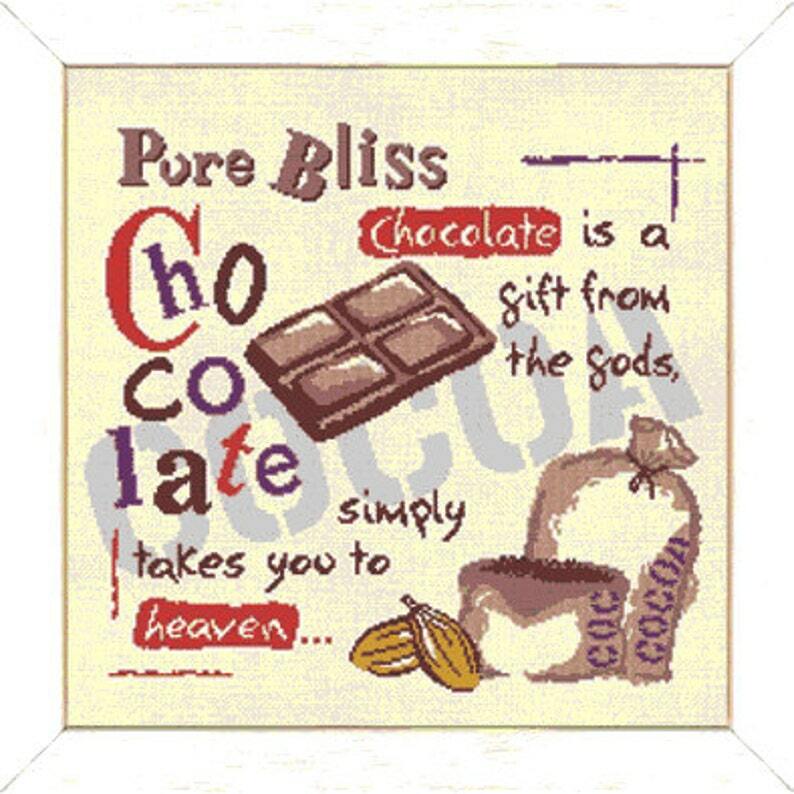 Chocolate – a modern counted cross stitch chart extoling the virtues of Chocolate - everyone's favourite treat! French cross stitch designer. •	Model can be stitched using an ecru colour fabric on 16, 18, 22 or 25 count Aida or evenweave with Anchor or DMC stranded cotton. •	The chart and instructions are given in English & French. •	This design also exists with French wording – please choose the format you prefer. Cross Stitch and half cross stitch. My Egyptian Dolls – a lovely counted cross stitch chart with 3 Egyptian dolls and a boat in the background. Chart, key in English or French. Giraffe Birth Sampler – a modern counted cross stitch chart for baby's birth. Boy and Girl version included. English or French version. My Japanese Dolls (Kokeshis)–a lovely counted cross stitch chart with 3 dolls -Sakura, Yoko & Tsuki. Chart and key in English or French. My Chinese Dolls – a lovely counted cross stitch chart with 3 chinese dolls -Lei, Yun and Mei. Chart and key in English or French. Indian Wreath – Counted Cross Stitch Chart with ribbon embroidery. Oriental motifs. Chart, key, instructions in English or French. 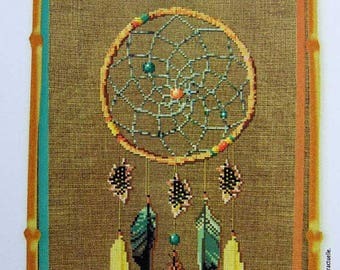 Dreamcatcher – counted cross stitch chart, American Indian style dreamcatcher. Chart, key in English or French. Indian Dreamcatcher. Cherry Flower Wreath – Counted Cross Stitch Chart with ribbon embroidery. Oriental motifs. Chart, key, instructions in English or French. Voyages – counted cross stitch chart, turtle. French Chart, design wording in French, key in English or French. Tortues, corail, éponges. New Year's Crown – Counted Cross Stitch Chart with ribbon embroidery. Oriental motifs. Chart, key, instructions in English or French.